Harry Gamboa Jr., Roberto Gil de Montes, 1978. 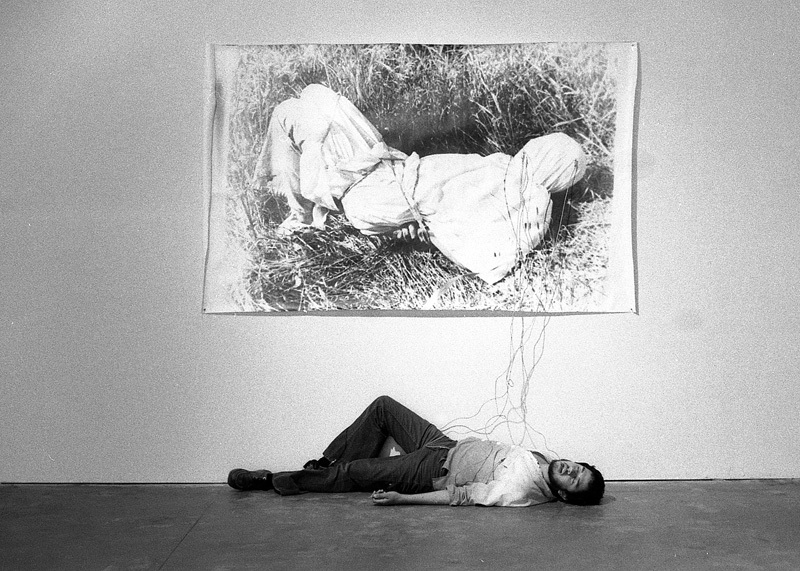 Gil de Montes shown with his work Tongue Tied in the No Movie exhibition at LACE (Los Angeles Contemporary Exhibitions), May 2–31, 1978. Chromogenic print, 14 x 11 in. (35.6 x 27.9 cm). © 1978, Harry Gamboa Jr. 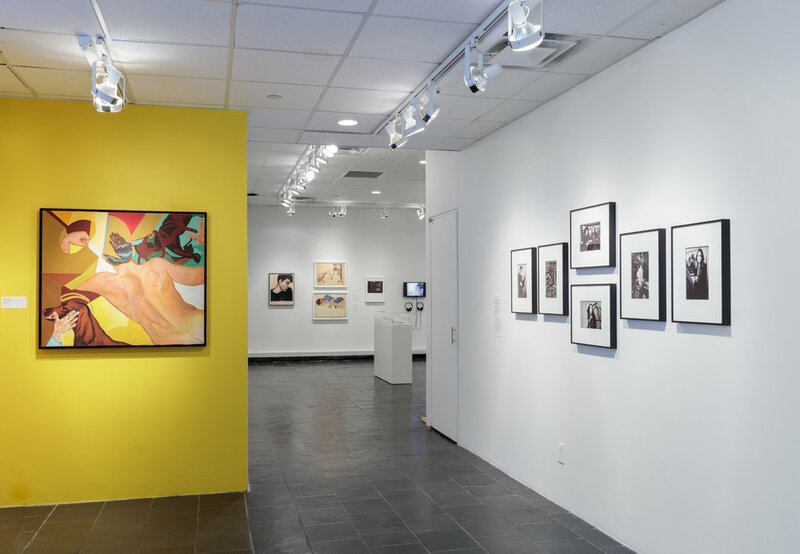 Installation view of Axis Mundo: Queer Networks in Chicano L.A. at the Bertha and Karl Leubsdorf Gallery. Photo by Stan Narten. Courtesy of Hunter College Art Galleries. Please note that The Bertha and Karl Leubsdorf Gallery will close at 5 PM on June 21, 2018. As referenced in its title, the exhibition also sheds light onto the work of Edmundo “Mundo” Meza (1955–1985), a central figure within his generation. Primarily a painter, but also known for his performances, design, and installation work, Meza collaborated with many of his peers towards developing new art practices amid emerging movements of political and social justice activism. Axis Mundo presents over two decades of work—painting, performance ephemera, print material, video, music, fashion, and photography—in the context of significant artistic and cultural movements: mail art and artist correspondences; the rise of Chicanx, LGBTQ, and feminist print media; the formation of alternative spaces; fashion culture; punk music and performance; and artistic responses to the AIDS crisis. 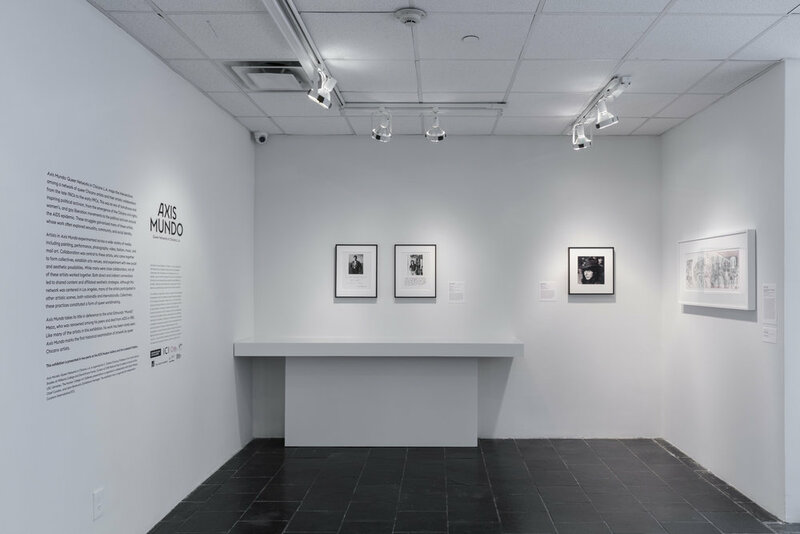 As a result of thorough curatorial research, Axis Mundo marks the first historical consideration and significant showing of many of these pioneering artists’ work. Exhibition tour is organized by Independent Curators International (ICI). 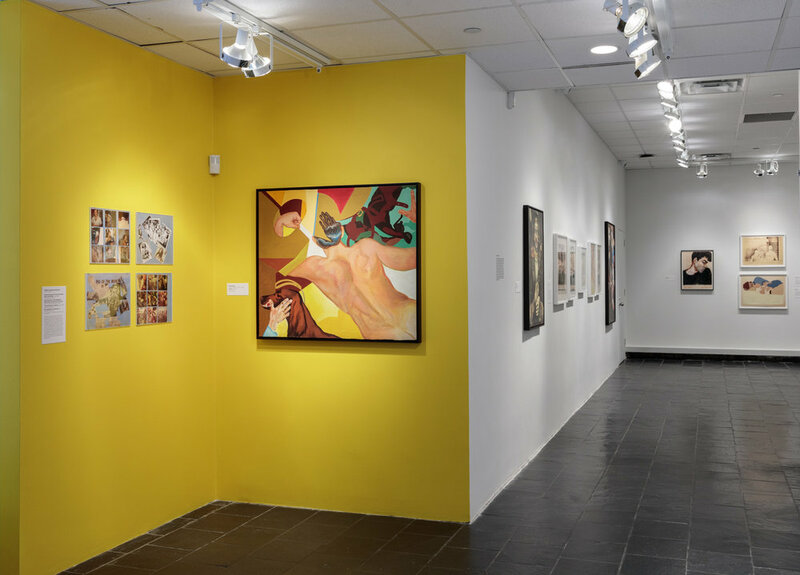 The presentation at the Hunter College Art Galleries has been organized in collaboration with Chief Curator Sarah Watson and Exhibitions Manager Jenn Bratovich. 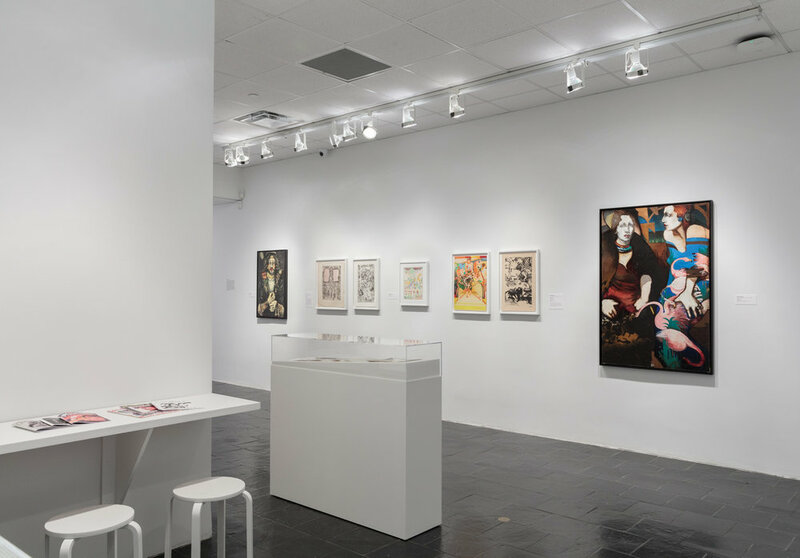 Additional support has been provided by the David Bershad Family Foundation, the Susan V. Bershad Charitable Fund, Inc., Carol and Arthur Goldberg, Agnes Gund in support of the Advanced Curatorial Certificate, and the Leubsdorf Fund. Co-published by ONE National Gay & Lesbian Archives at the USC Libraries and DelMonico Books/Prestel, the expansive 414-page catalogue for Axis Mundo includes over 500 images, ten essays, and over 50 individual artist biographical entries. Edited by C. Ondine Chavoya and David Evans Frantz with contributions from Leticia Alvarado, Julia Bryan-Wilson, Simon Doonan, Macarena Gómez-Barris, Colin Gunckel, Joshua Javier Guzmán, Iván A. Ramos, and Richard T. Rodríguez. C. Ondine Chavoya is Professor of Art History and Latina/o Studies at Williams College in Williamstown, Massachusetts. He is the author of numerous texts on Chicanx avant-garde art, video, and experimental cinema, and is a leading figure in the field of Latinx art history and visual culture. His curatorial projects have addressed issues of collaboration, experimentation, social justice, and archival practices in contemporary art. 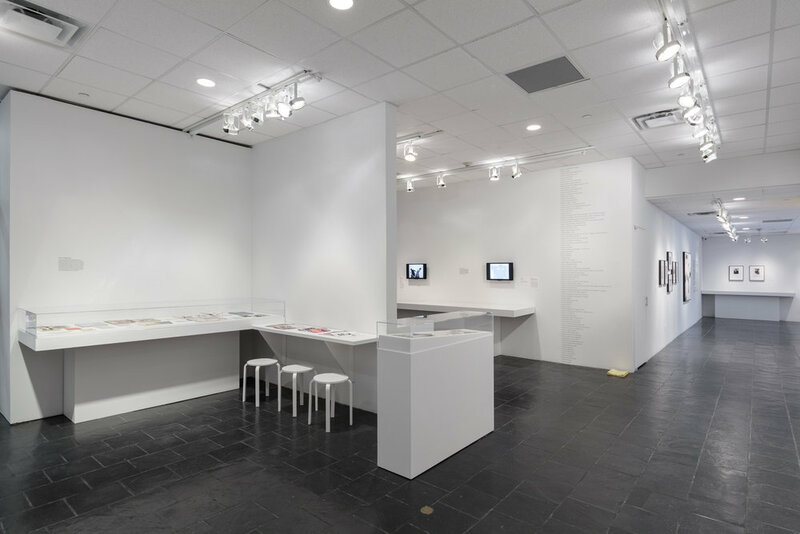 Chavoya has organized exhibitions and events including Asco: Elite of the Obscure, A Retrospective, 1972–1987, the first museum retrospective to present the wide-ranging work of the performance and conceptual art group Asco (2011–2013) with Rita Gonzalez, and Robert Rauschenberg: Autobiography (2016) and Michel Auder: Chronicles and Other Scenes (2004) with Lisa Dorin. David Evans Frantz is curator at ONE National Gay & Lesbian Archives at the USC Libraries. 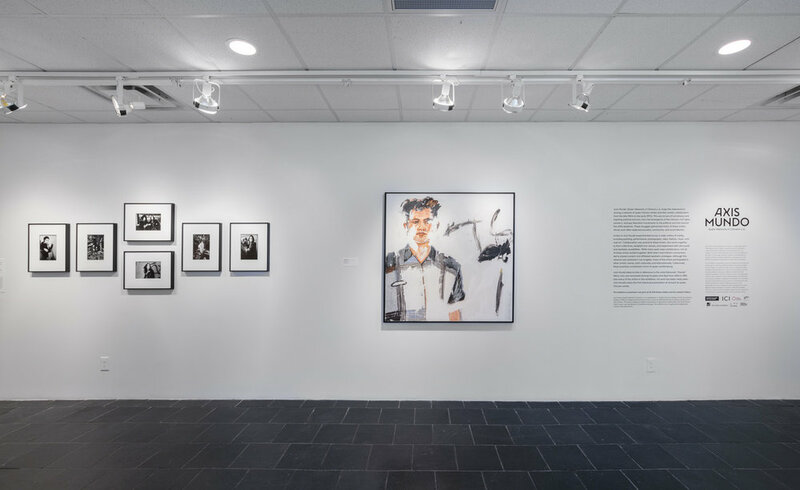 Over the past seven years, his work at ONE has sought to draw greater scholarly and public attention to under recognized histories of queer art and culture while connecting contemporary artists to the archives’ rich, yet largely unexplored, collections. 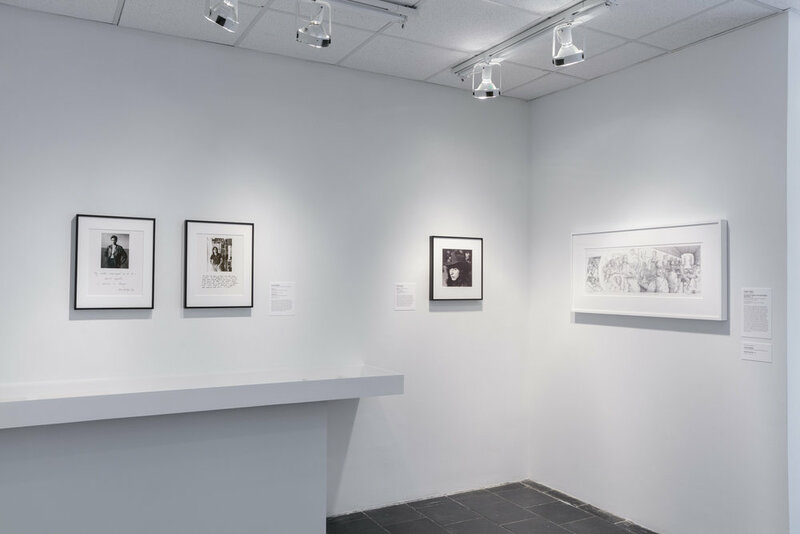 In 2011, Frantz co-curated with Mia Locks the exhibition Cruising the Archive: Queer Art and Culture in Los Angeles, 1945–1980 as a part of the first Pacific Standard Time: Art in L.A., 1945–1980. In 2014, he was the curator of the show-within-a-show, Tony Greene: Amid Voluptuous Calm, part of the Made in L.A. biennial at the Hammer Museum. 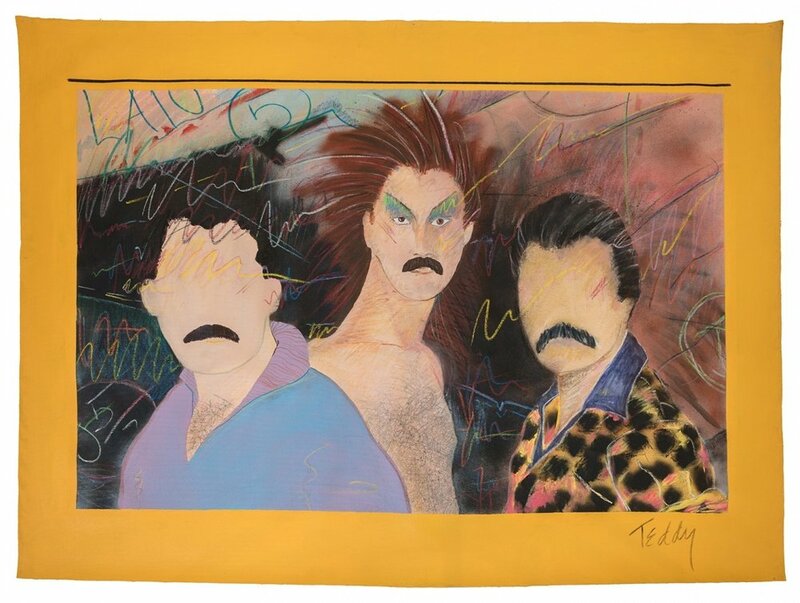 Most recently he co-curated with C. Ondine Chavoya Axis Mundo: Queer Network in Chicano L.A., a collaboration between ONE Archives and The Museum of Contemporary Art, Los Angeles, for Pacific Standard Time: LA/LA.